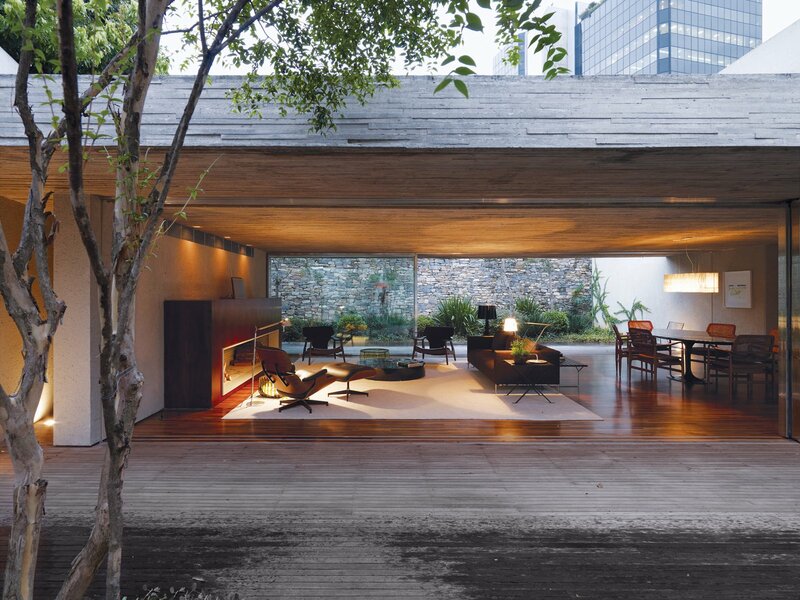 Following the birth of their second daughter, Reinaldo and Piti Cóser knew they needed a bigger home that could provide domestic refuge from the relentless energy of São Paulo without separating them from it completely. After purchasing a site in the centrally located Jardim Europa neighborhood, they turned to architect and close friend Marcio Kogan to help them accomplish their dream. The resulting structure features a garden that is separated from the living room by only a sliding door, creating one large mixed-use living space. While this gives the home a feeling of tranquility, the rooftop deck yields intimate views of the city, reminding viewers of its nearby influence.